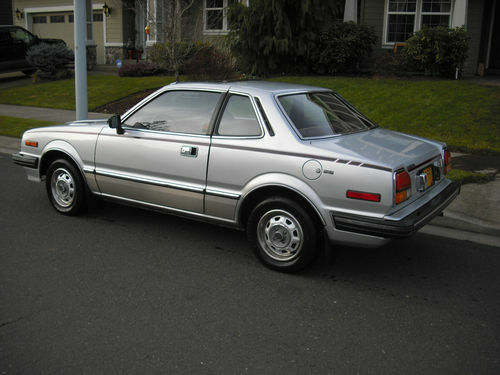 The first generation Honda Prelude was as close as Honda ever got to building a pony car. 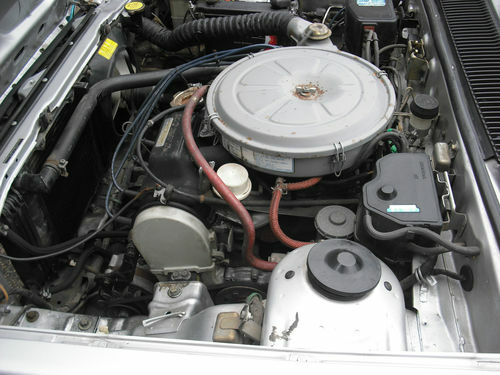 It used Mustang the formula of: shared mechanical bits from a sedan, a larger engine and long hood short/trunk styling. The later Preludes had sophisticated VTEC engines and 4-wheel-steering, but we like the simplicity of the lightweight early versions. 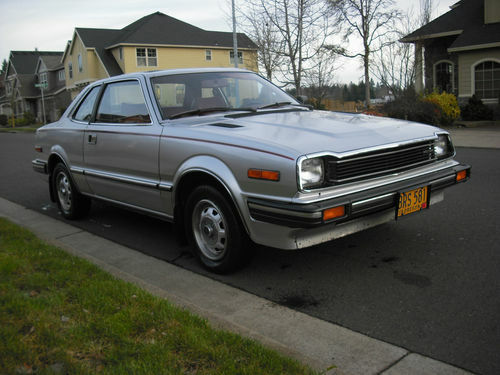 This 1981 Honda Prelude 5-spd is an all-original survivor, find it in Oregon City, OR currently bidding on ebay for $1,225 with 2 days to go. The SN generation Honda Prelude qualifies as a daily turismo in every aspect except for the driven wheels - but we can overlook this deficiency because of its extremely favorable market price. This example has some typical road rash in the front and a few rust spots, but overall looks fair for a driver. The SN Prelude is powered by the Honda EK engine, a 1.8 liter inline 4 cylinder engine, mounted transversely and putting 75 horsepower into the front wheels. Thankfully it is equipped with a 5 speed manual transmission, so the driving experience should actually be quite fun - just drive it like a 1900 lb Japanese Mini! The inside of this Prelude is a striking shade of bright red! 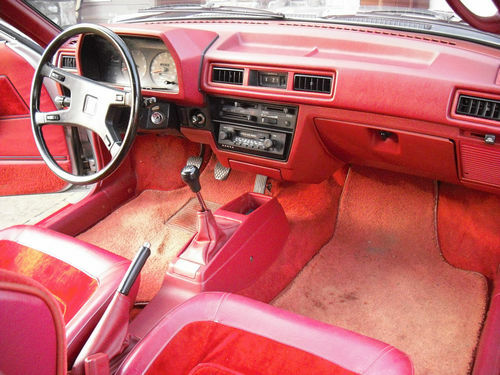 While not our first choice for a new car, we actually like these crazy interior colors for a classic, you may has well have something to distract your passengers from the fact that it doesn't have a nav system or ipod hookup. We don't see many stock first generation Preludes on the streets anymore, most have been driven into the ground or have rusted into oblivion - the older Honda's used very thin gauge sheet metal and undercoating was an afterthought. This one looks to be a good deal for a simple daily driver for the petro-head on a budget. Sweet Prelude - used to drive one like this many years ago, but without the crazy red interior. Sold it for $100 to a friend who moved to Montana...memories. I delivered pizzas in one, it was the perfect car for that, snappy and sure footed. It's speedo was broken, when I got pulled over I had to hide my disappointment that I was only doing 70, I thought for sure I was above 80. It was fun as cars that size are for seeming faster than they are. Mine was dark blue with tan interior and factory alloys, overall much prettier than this in my opinion. The manual gearbox failed on me, started with a noise in 3rd, then popping out of third, eventually it failed altogether. Apparently it was a common problem, according to some guy who wanted to buy it for the gearbox.